output in the country to more than 850,000 vehicles annually from 680,000 today, an increase of 25 per cent. "Nissan Mexicana is a global benchmark in manufacturing, productivity, competitiveness and customer satisfaction," said Carlos Ghosn, President and CEO of the Renault-Nissan Alliance, at the opening ceremony. 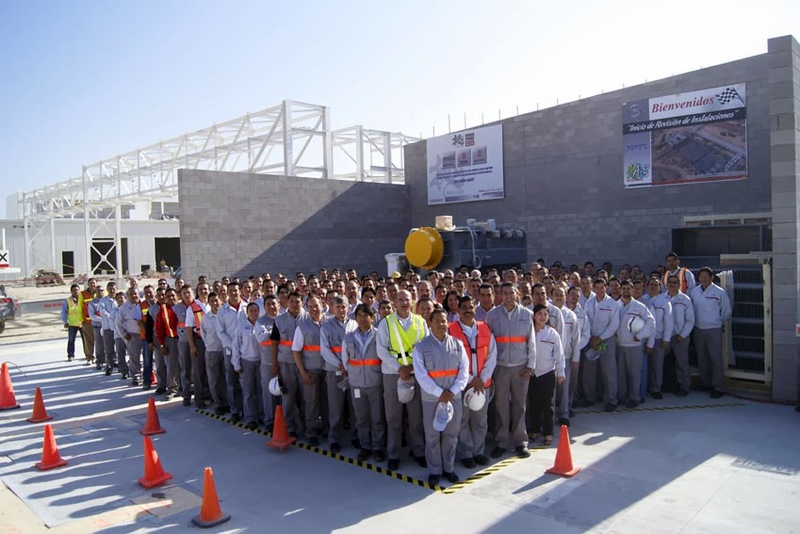 "The investment in our third vehicle plant in Mexico leverages the world-class manufacturing capabilities of the Nissan Mexicana team and is aimed at satisfying the high demand for Nissan vehicles produced in Mexico throughout the Americas and beyond. It will help consolidate our leadership in the domestic market and strengthen our growth plans globally." "We are extremely proud of this vote of confidence from Nissan Motor Co. to Mexican manufacturing performance," added Armando Avila, Manufacturing Vice-President of Nissan Mexicana. "Cuernavaca was our first vehicle plant outside Japan; thirty years later we extended our manufacturing footprint to Aguascalientes. Today, we open a second vehicle plant in this state and welcome 3,000 new employees who already work at the new plant. Through months of training, they have become a part of our family and now share our culture and passion for quality. This is only the beginning of another chapter in Nissan Mexicana's history and where we become even greater contributors to the global automotive industry."